Selby enjoyed a dream start as he went 4-0 up with the breaks of 66, 57 and 102 before the man from Trowbridge managed to get his side of the scoreboard moving. But then as so often happens the interval changed the momentum of the match. Suddenly Lee look revitalised. He took full advantage when left in at close range to hammer in a 94 – including a an outrageous cross table double on a red- that Selby could only smile about. But the Jester from Leicester would not have enjoyed what was to follow in frame nine as after making the initial running with a 52 spurned another chance to move into the last eight when he missed a blue to the centre. As Lee inched himself back into the frame the scores showed as Selby leading 57-28. 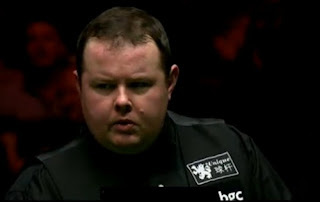 With just one red and the colours left Lee cleared up to the green and then left Mark in real trouble as he tucked the cue ball up behind the green, with the final red seemingly glued to the black. 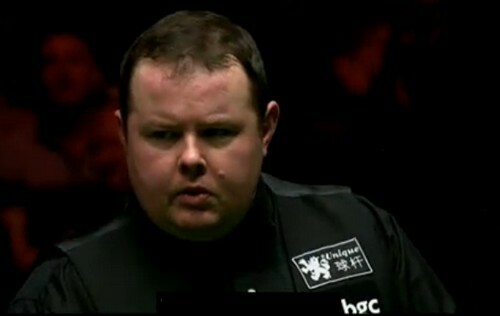 Selby needed two attempts to escape but looked set for victory when Lee left the brown hanging over the centre pocket. 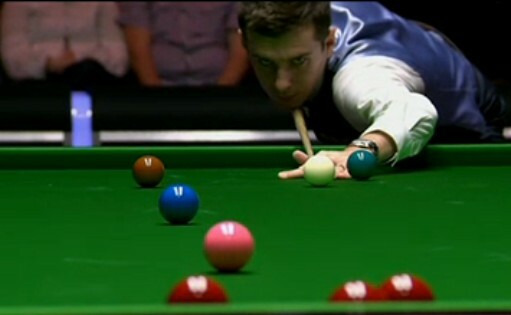 Imagine the oohs and aahs as the Selby sunk the brown – and then saw the cue ball follow it into the pocket. With the balls at his mercy Stephen cleared up to be just one frame behind at 4-5. Selby, though is blessed with the ability to put such dramas out of his mind and he finally staggered over the line with the help of a 71 break to set up a meeting with Shaun Murphy.